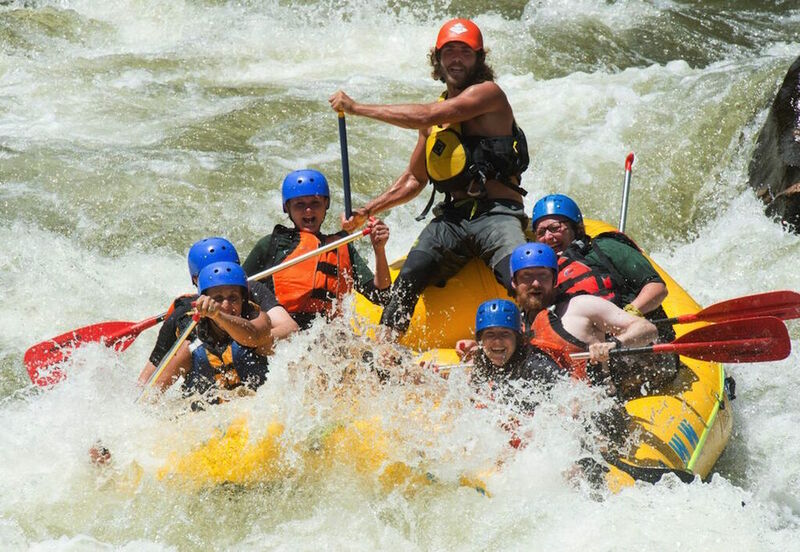 Whitewater rafting on the Cache la Poudre River, Colorado’s only designated “Wild & Scenic” River, is one of the most exhilarating experiences to be had in a lifetime. 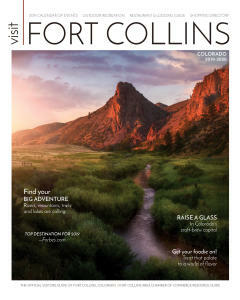 The Poudre (Pooh-Der), as the locals affectionately call it, runs right through the heart of Fort Collins, making the “Choice City” a river runner’s paradise. The rafting season starts as early as May 12, so here’s your chance to book your stay in Fort Collins and plan your rafting trip today. Although, at times, whitewater rafting can look intimidating, it is actually an adventure that can be experienced by persons of all ages. With that in mind, the most important thing to do is make sure you have an idea of what to expect by preparing yourself for the ride down the river. That’s where we can help. Whitewater rapids are based on a scale from I-VI, with class I being the easiest and class VI being extreme. 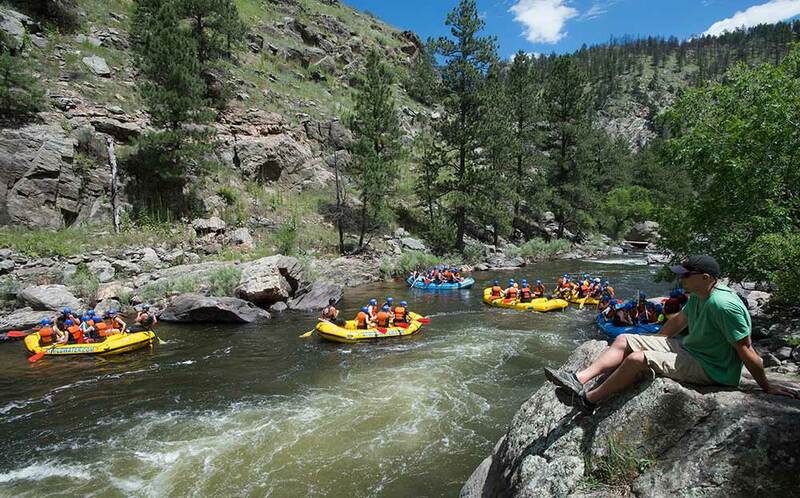 Most outfitters in Fort Collins offer rafting trips ranging from class II-IV. If you’re a beginner, you are going to want to stick to the class II and III rapids. If you’re a little more experienced and looking for a thrill, you will want to give the class IV rapids a go. You will want to wear clothes that can get wet, including water friendly shoes, although most outfitters in Fort Collins will give you the option to wear water proof “booties.” The rafting outfitters will also provide you with an option to wear a wet suit, which we recommend if you plan on rafting in the early summer months of May and June. The river water can be a bit cold in May and early June, with water temperatures hovering around 45° F in mid-May and increasing as the summer months come. We wouldn’t recommend wearing hats, jewelry or any loose items as they may fall off in the river. Generally speaking, if you value something that might get lost or wet, don’t bring that item. The outfitters will also provide you with a helmet and lifejacket among other items pertaining to your safety. Fort Collins is 5,003 feet above sea level, which means sunscreen is a must as you will be 5,000 ft. closer to the sun. We suggest multiple applications of sunscreen especially on your shoulders, neck and thighs. Remember, the state of Colorado and Fort Collins see over 300 days of sunshine a year, so be prepared for beautiful days and clear skies. Listening to your guide is key when it comes to whitewater rafting. This is a team sport. Everyone must be in sync to make it down the river. Consider your guide the coach and anchor of your team. Your guide will teach you the basic paddle strokes, safety precautions and commands before you hit the river. Once on the river, all you have to do is respond to your guide’s commands and let the fun ensue! Seriously. This is why you booked your whitewater rafting trip. It’s all about seeking adventure and unplugging from the real world. We promise you won’t be disappointed. Whitewater rafting will be one of the most adrenaline-filled, exciting experiences you will ever have. Don’t hesitate and book your stay in Fort Collins and whitewater rafting adventure today!